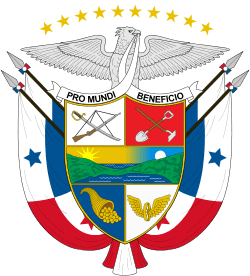 Communist Party (Marxist–Leninist) of Panama (in Spanish: Partido Comunista (marxista-leninista) de Panamá), a Maoist political party in Panamá. PC(ml)P was founded on January 9, 1980, by a group of militants of the Socialist Workers Front (marxist-leninist) (FOS(ml)). PC(ml)P published Nueva Democracía (New Democracy) between 1980-2001. This article is issued from Wikipedia - version of the 6/17/2013. The text is available under the Creative Commons Attribution/Share Alike but additional terms may apply for the media files.